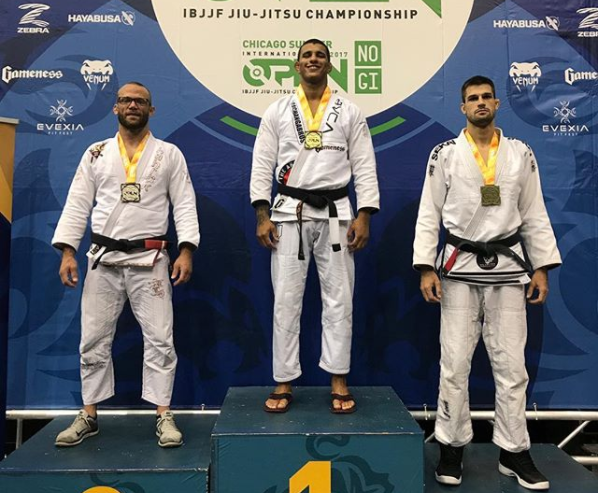 Brand-new GF Team black belt Gutemberg Pereira made quite the debut in Chicago. Gutemberg Pereira made his anticipated black belt debut and did not disappoint. The 2017 IBJJF Worlds brown belt super-heavyweight champion submitted his first four opponents on the day, including two triangle chokes over Atos veteran Josh Hinger. However, Pereira would eventually run into Cornelius in the absolute final and lose by triangle choke himself, finishing the day a with gold in his weight class and silver in the open division.